We have always been fans of the Gro Company. 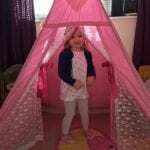 When Mia was born we bought her a number of Grobag’s which were amazing as Mia could get all snuggled up in bed with us knowing she was sleeping safe and securely. We also bought a Gro-egg which we have used right up until very recently to accurately measure the temperature of her bedroom. 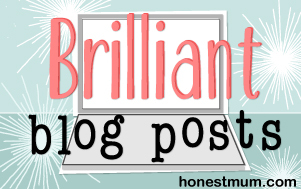 So when The Gro Company were looking for bloggers to review another of their products, I put myself forward and was really excited when they picked me! The Gro Company specialise in the manufacturing of safer sleep solutions for babies and make everything from Gro-lights to black out Gro Anywhere Blinds. 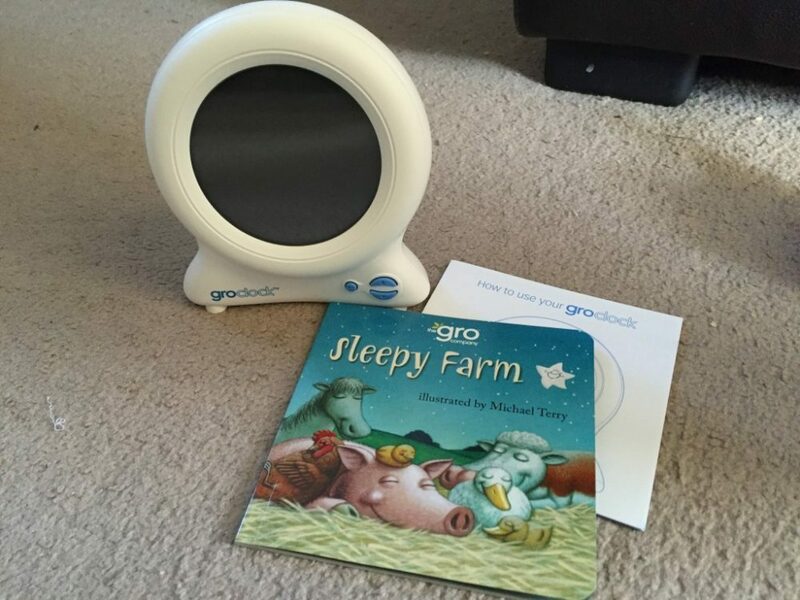 I asked to review their Gro-clock as it’s a product we had our eyes on for Mia’s birthday this year. So here is our Gro-clock Review! The Gro-clock is a sleep trainer nightlight and clock. Suitable from 2 years, the clock is designed to teach children when it’s time to sleep and when it’s time to wake up, either at nap time or in the morning. The clock itself displays 12 blue stars which go out one by one as each hour passes so that once all of the stars have disappeared, a bright yellow sunshine appears and your child knows that its morning. 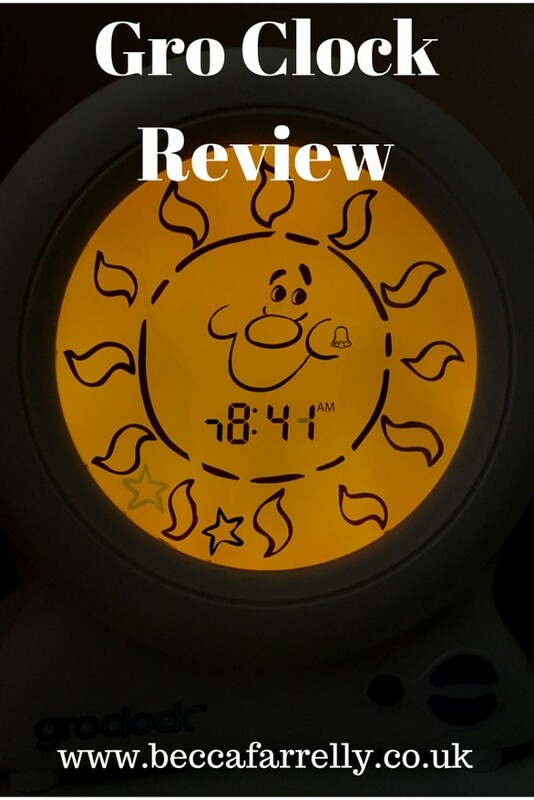 The Gro-clock has an alarm which can be set if you have older children who would benefit from one and although we don’t use this as Mia is only 2, we tested out the alarm and it would be great for primary school children to get them up in the morning. Also the Gro-clock has a digital clock display so that you can teach older children how to tell the time which is something we will definitely use with Mia when she’s a bit older. We haven’t ever had a problem with Mia getting up ridiculously early (not sure how or why?!) and we have a gate on her bedroom door but we often wonder (especially in summer when it’s lighter) whether she knows and understands when its ‘sleep time’ and when it’s time to get up. So the Gro-clock is perfect for this! On start-up, the Gro-clock needs to be set up with the current time and the ‘wake up’ times. The instructions, I found personally, quite overly confusing, even with only 3 buttons on the clock, the instructions seem a bit tricky to follow. I found it much easier to get hands on with the Gro-clock and it was really straight forward to use like this. Once the time is set and whether you want the alarm set or not, you can then set the nap time wake up and morning wake up times. I set the times as exactly the same as each other (as advised) as Mia doesn’t have a nap in the day anymore. The first day I set the clock, I wasn’t 100% sure I had set it right and there was no way to test it beforehand. However, Mia let me know that she had seen the ‘sunshine face’ come out and was very, very excited about it! When setting up the Gro-clock, the instructions say to try not to let your child see you setting the clock up and I wish I had of read that first as Mia watched me playing with the clock and she decided she would quite like to ‘set’ the clock herself for the next week! There is a key lock feature but this can only be activated once the sleep times are activated and I would have liked to be able to lock the clock all of the time. I have to put the clock up out of Mia’s reach each morning. Also, the clock runs off the mains electricity and so needs to be near a plug point at all times, this means we have a cable trailing across one of Mia’s bedroom walls. I would have liked a battery option. The display itself is lovely and really child friendly. The bright screen is really appealing and Mia absolutely loves the smiley star and sunshine faces when they appear! She is still excited nearly 3 weeks on when we set the clock at bedtime! We also use the clock display as a dim light for Mia’s room. We have been looking for a suitable light as most are too bright to be left on all night or have a cut-out time of around 20 minutes , which is not enough. The brightness can be adjusted so it took us a couple of nights to find the perfect brightness for us. The Gro-clock comes with a lovely book which reinforces the clock and Mia really enjoyed listening to me reading it to her whilst we set the clock for the first time. She understood the concept straight away and on the first night she understood what the stars and the sunshine were telling her. There is also a great reward chart to download from the website with great tips and a lovely chart, which matches the Gro-clock’s images. You can use stickers to reward your child when they stay in bed until the sun comes up. 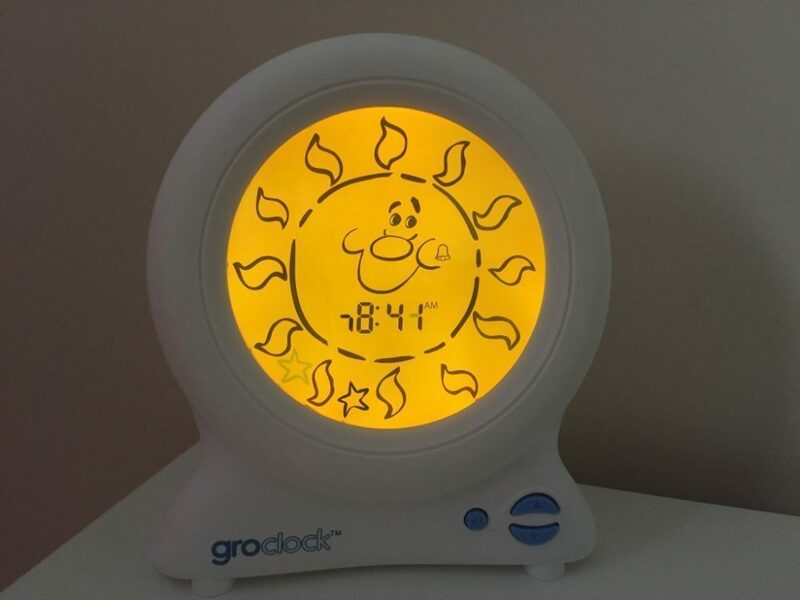 The Gro-clock is a brilliant addition to your child’s nursery or bedroom and I would recommend it, not only as a clock or an alarm but also as a dimmed bedroom light. With a current RRP of £29.99 it is well worth the money and we are more than happy with it. I’m really interested in their Gro-light next! 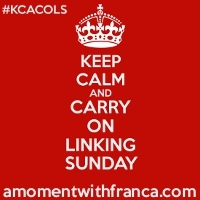 This post contains affiliate links, which means that if you click on one of the product links, I’ll receive a small amount which goes towards keeping my blog up and running! 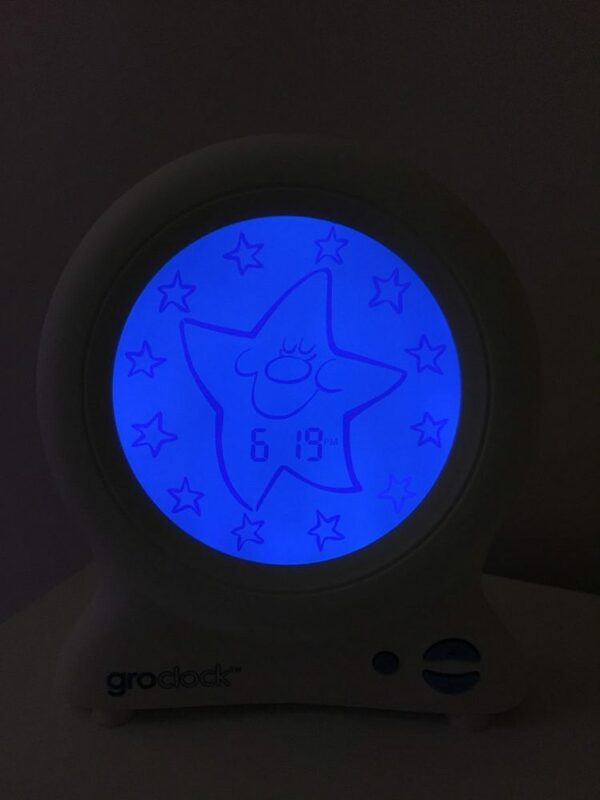 We love our Gro Clock – and it’s really coming in to it’s own now that Boo is a bit older – she knows that stars mean sleep now. It’s such a great idea!